The book A witches World of Magick is full of magical practices and concepts from around the world. For this reason the book is aptly titled. Through out the book the reader is exposed to magical cultures from the Meso-American cultures (like the Incas and the Aztecs) to Jewish Folklore, to Hindu Vedas. This book covers global magical practices. The author of this book did a lot of research into the different folk magic practices and traditions around the world in the creation of this book. The authors dedication to providing a diverse selection of folk magic and folk lore on each topic covered is clear by the wonderful footnotes and credits given throughout the book. This book is not your basic how to book on witchcraft or magic. If you are looking for a how to write a spell or how magic works book than this book is not for you. This book is focused on and for those in the intermediate area of study. This book is designed to provide experienced practitioners new ways of practicing magic and looking at magical concepts from folk magic practices around the world. A witches world of Magick is an informative guide to folk magic around the world. By the end of each chapter the reader has covered several different approaches to magical techniques in folk magic traditions that they may have never heard of or explored otherwise. Each chapter while they cover specific magical concepts and techniques covers the magical concepts and techniques from different perspectives in different cultures. In doing this the author provides many different views of magic and different ways to look at magic. There are ten chapters in this book. Each chapter focuses on a specific type of magical concept or practice. With the common thread or practice for the chapter defined, the author in each chapter provides the reader with a ton of different sets of folklore and folk magic. The book opens by mentioning how universal the concept of magic is and how wide the varieties of magical practices there are. With in the first chapter it is clear that the book does take a global approach to the practices and magical workings. 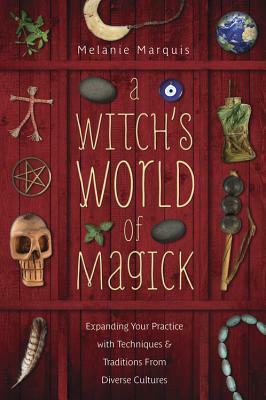 While the title of the book is “A witches world of magic” not all of the traditions and practices that are discussed are considered witchcraft. The book really only touches on witchcraft at the end of each chapter, providing witches with questions to think about for their magical practices as well as concepts for how the folk magic discussions can be applied into an individuals witchcraft today. To further illustrate that the book is not a book for beginners the first chapter in the book covers working magic with out the use of tools. The chapter is titled No-Tools Body magic. Its clear right away that the author is showing advanced magical techniques covering the practices of the evil eye, through speech and voice alone, to gestures and movement of the body to make magic effective. The second chapter covers potion or mixing magic. Once again the author provides a few unusual ways of thinking about potion making and mixing ingredients to make a spell work. From gypsy love potions to a tale about two Polynesian wizards the author covers both conventional and unconventional forms of mixing magic and potions. Again the author ends the chapter with concepts for the practicing witch to ask themselves to further their new magical practices and concepts. The third chapter discusses container magic. The chapter does not mention Jar spells as found in Hoodoo and other forms of magic but rather other types of containment spells. The concept of talismans and amulets as a container for magical energy is addressed her, but is addressed in a manner related to folk magic concepts. Once again various cultures from Egypt to Nigeria and even the PowWow tradition of the Pennsylvania Dutch magical practices related to containing forces and power are discussed in that chapter. The fourth chapter is all about knot magic and binding magic. The spells covered here include a well known folk charm by sailors to create wind while at seas. Other knot magic and binding spells cover love and protection. From Gypsy magic to the sacred knots of the girdle worn by Zoroastrrians binding and knot based folk magic can be found in that chapter. The fifth chapter is all about puncture magic. Yes the concept of voodoo dolls or dolls punctured to create a magical effect is covered here. However the dolls are only one of many different magical practices discussed here in this chapter. Not all piercing magic is baneful or curse like. The chapter covers a few examples of healing magic through punctures. The sixth chapter is all about identification. In magic it is important to have a clear target or concept in mind when working a spell. If you are doing a distance healing for someone its important to know their name or have some way to connect the energetic forces to them. This chapter covers many different ways that a person can identify the target of their spell. From actual names to using body parts the folk magic in this chapter shows how identification of the target is essential. The seventh chapter is actually related to the previous chapter. This chapter covers decoy magic. Here the magical practices include the well known witches jar, as well as using rocks or stones to distract a spirit. From using masks and loud noises to making an actual representation of the original target as a decoy, decoy and distraction magic is covered here. The eighth chapter is about curse breaking. The author is clear in the beginning of the chapter that the two most common forms of magic practiced are those of healing magic and those of protection and curse breaking. The various mentioned include using parts of the body (hair, spit, etc) of the curser to remove the curse, destroying the artifacts, and sending back curses. From a modern American curse (the curse of the Bambino) to the Evil eye methods of curse breaking come in as many different forms as there are cultures in the world. The ninth chapter is about masks and mimic magic. In shamanic cultures shape shifting is often involved in getting to know an animal spirit and to work with the animal spirit. This is just one form of mimic and mask magic involved. Other techniques include jumping high in the fields to show how the crops should grow. The idea is that by showing the fields how to grow they will and that by becoming the animal or spirit, that animal or spirit will manifest there and lend its power to the working at hand. The final chapter discusses and mentions group magic and ritual. Group magic and ritual was common once but not so any more. 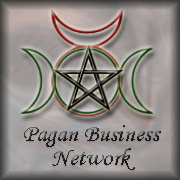 From the ancient rituals of those who follow Dionysus to mentions of our modern day Pagan Pride day celebrations, the author covers why group magic is essential and why it should be considered a practice. By the end of the book the author has given multiple cultural practices that a witch can integrate into their own practices and take inspiration from. The goal of this book is to inspire the witch to look at folklore and folk magic and find new ways of adding to their magical practices. This book is just what the intermediate witch needs to take their magic to the next level using only folklore and traditional practices. Great site. A lot of useful information here. I am sending it to a few buddies ans additionally sharing in delicious.